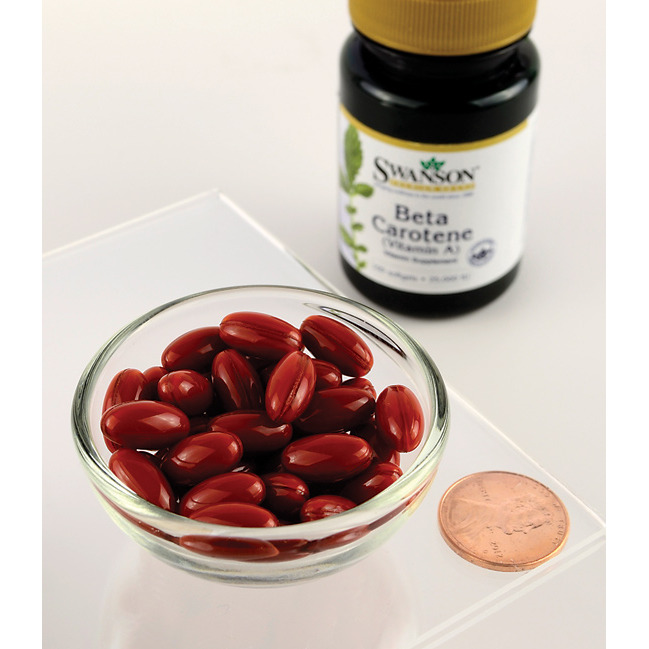 Beta carotene is a plant pigment that is known as a carotenoid and it has proven antioxidant effects. It is converted to vitamin A in the intestines and that is why it is also called provitamin A (it is a form of Vitamin A). However, it should be noted that this compound is found mostly in plants like carrots, sweet potatoes, winter squash, spinach and kale, and fruits like cantaloupe and apricots. Beta carotene is different from the animal form of Vitamin A found in foods such as eggs, liver, cheese and whole milk. Beta carotene intake is associated with having optimal blood vitamin A levels which is key for good vision and eye health, immune system strength and maintenance, growth and development (especially for young individuals), skin health, lower levels of skin aging and decreased risk of night blindness and eye dryness. Beta carotene is an important and powerful antioxidant and can protect cells (especially retinal and skin cells) from damage and is very effective in correcting vitamin A deficiency. It is also used to cure a genetic disease (Protoporphyria), which is characterized with skin hypersensitivity to sunlight and fluorescent lights which leads to skin itchiness and redness. Caution should be applied when taking high levels of beta carotene if the users are smokers or heavy drinkers. High intake can also make the skin yellowish or slightly orange but this is temporary and harmless. Other ingredients:Gelatine, soybean oil, glycerine, yellow beeswax, purified (deionised) water, soy lecithin. Directions for use: As a dietary supplement, take one softgel per day with water. I am very pleased with this product. I have been buying this from drugstores - and this compares just fine, but is a lot less expensive.